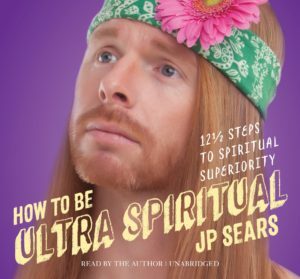 Best known for his viral, satirical Ultra Spiritual persona, JP Sears is an emotional healing therapist, speaker, author and seriously disciplined seeker. Want to know what the barrier between success and failure is? The difference between where you are and where you want to be is a matter of putting one foot in front of the other. The barrier between here and there is actually more-often-than-not a flimsy one, the problem is we strengthen it with worry, doubt and worst-case scenarios. We spend more time working up courage and talking ourselves into doing a thing than we actually would have spent doing the thing (I know from experience). Perhaps I’m oversimplifying it by placing it into such binary terms. Truthfully, I tend to be a man of nuance and grey area most of the time, the type who doesn’t do dualism. However, sometimes you go to the gym or you don’t. 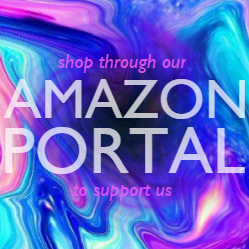 You take the trip or you don’t. You make a thing or you don’t. It can be that simple. Actions have impact, they ripple. They set off a Domino Rally™ of cause and effect that sometimes gives rise to incredible, synchronistic, fortuitous, cosmic harmony. The kind that results in meeting just the right person, getting an opportunity or some other life-changing circumstance. Of course this isn’t always the case. The sweet lady of astral fortune may not hand you triple-sevens the first time you take a leap, but I can tell you this– She never will if you don’t. Which brings me to JP Sears. You know this man precisely because he’s a doubt-hushing dice-roller. In fact, in this very mind meld we discuss (among many other things) the exact circumstances that lead to his leaps of creative and entrepreneurial faith, including the emergence of his now massively-popular Ultra Spiritual persona.